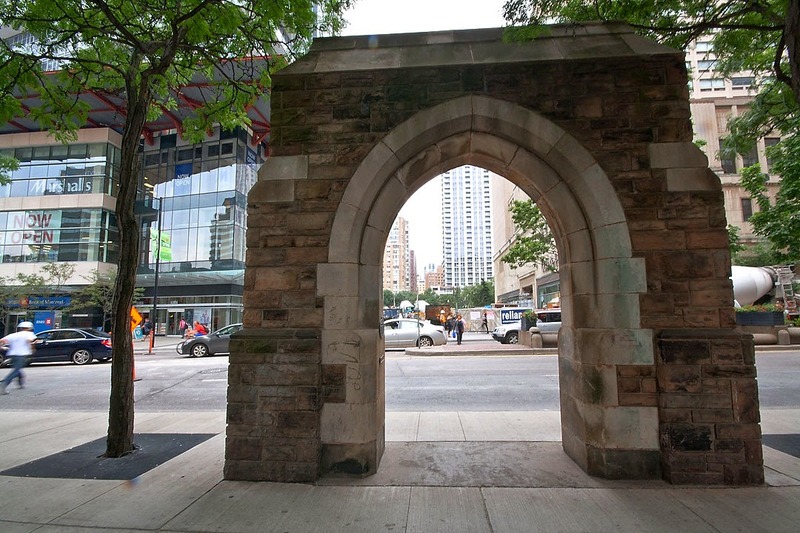 This stone arch is from the former St. Andrew's United Church (built in 1923) on Bloor Street East at Park Road. The City of Toronto purchased the arch when the church was demolished in 1981. The arch was then rebuilt here as a pedestrian gateway, after the intersection of McGill and Yonge Streets was closed. It will definitely stand out among all the glass. Looks pretty neat standing all on its own like that. What a great way to preserve part of a historic building. Something that was well worth the effort to save. I like it. A nice slice of history Andy.